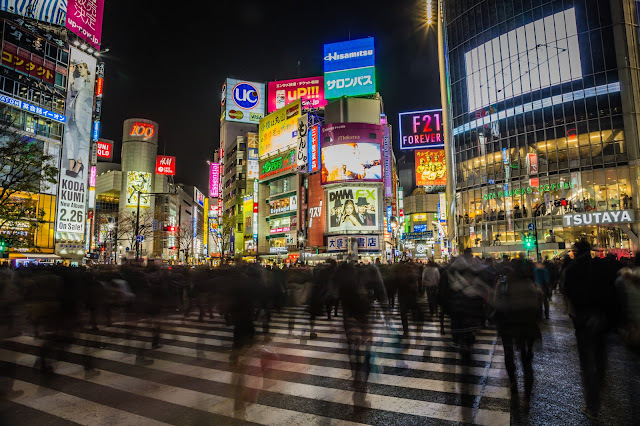 Tokyo is one of the world’s great cities offering a huge diversity of attractions and experiences with pretty much something for everyone. One thing that it does lack is space, with over 13 million people living in Tokyo, space is at a premium. Many people rely on public transportation to get around the city, but more and more people are taking to two-wheels to travel. The Japanese Transport Ministry estimates that around 14% of the commuting traffic in Tokyo is on bike. While on the surface biking around may seem like a good idea, it has led to the inconvenience of bicycle’s being parked on already crowded pavements further reducing the already rare and precious space in Tokyo. One company has come up with an ingenuous solution to help solve this problem by creating high-tech underground bike parking that simply store the bikes 40 feet underground. Dubbed the Eco Cycle, the 23-foot diameter storage facility can house up to 204 bikes. The solution is a win-win for everyone with no more clutter of bikes up on the streets, and owners resting easy with the knowledge that their bikes are locked in a safe place, away from thieves and bad weather. From street level, an Eco Cycle looks like a small kiosk. In reality, they are gateways to futuristic subterranean parking lots. The underground storage systems work in a simple but effective way. Place your bike onto the runway, swipe your membership card onto the reader, push a button and stand back as the automated system takes care of the rest. In less than 8 seconds your bike is stored away in its slot, and can be retrieved in around the same time. 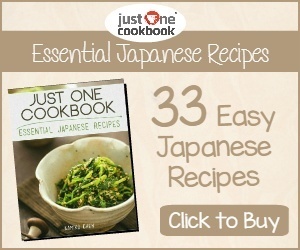 Membership costs 2,600 yen (USD$25) a month. Another key point of the underground bike vaults apart from being a shelter from bad weather is that they are completely safe from earthquakes, a regular occurrence here in Japan. 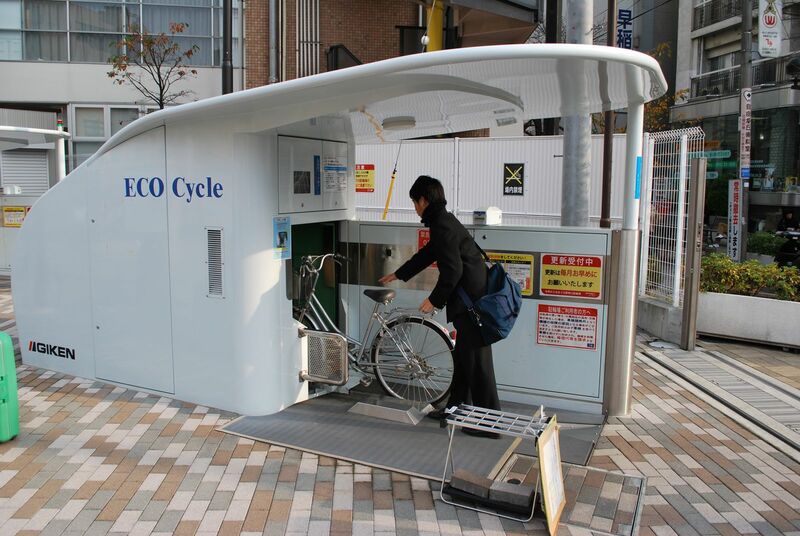 Today, there are around 50 Eco Cycle Stations across Japan with plans to expand overseas in the near future. What do you think about Japan’s high-tech bike vaults? Please leave your comments and feelings below in the comment section. I remember seeing a video about these a while ago. It's amazing. They have plans to expand overseas? Central and Norther European countries would definitely benefit from those, as they also have a huge number of bicycles.